Happy 1st Birthday Little Dewars! How much he’s grown! We can’t even begin to share how much this little guy has brought to our lives and how much we love him! Oh my goodness Dewars is so cute! I love him! Happy Birthday DeWars!!! 1 year goes fast. Ours will be four May 28th, we can’t believe it. They are still puppies at heart though!!! Oh my….4 years old!! YAY! 🙂 Oh, they will ALWAYS be puppies! And yes…. a year goes so quick!! Amazing how attached you get to your pups. I can’t imagine life without mine. A very happy birthday to Dewars. He is so adorable!! awww….he’s adorable in every way! Happy birthday little buddy!!!! Cheers to many more happy birthdays. Dogs are wonderful. They sure are! Thanks so much! Dewar is so adorable! You are so fortunate! 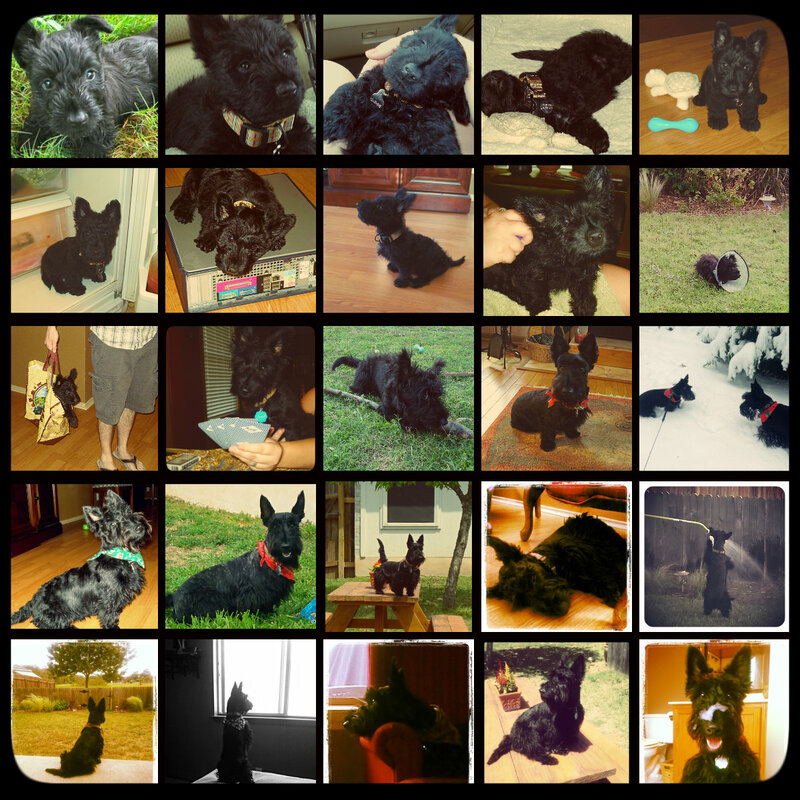 This entry was posted on May 22, 2014 by Jessica Romigh in General and tagged Dewars, dog, puppy, Scottish Terrier.